A coalition of seven northeastern states, including New York, notified the Environmental Protection Agency that legal action is being planned against the agency for violating the Clean Air Act. The group, led by New York Attorney General Eric Schneiderman, claims that the EPA has failed to address methane emissions in recent updates to air pollution emission standards for the oil and natural gas industry. The EPA recognizes methane as a powerful climate change pollutant, which pound for pound warms the climate 25 times more than carbon dioxide. The impacts of climate change due to methane emissions, as determined by the EPA, include increased air and ocean temperatures, changes in precipitation patterns, polar ice melt, and increased intensity of severe weather events, such as Superstorm Sandy. “We simply can’t continue to ignore the evidence of climate change or the catastrophic threat that unabated greenhouse gas pollution poses to our families, our communities and our economy,” Attorney General Schneiderman said. The EPA estimates that oil and natural gas operations, including wells, gathering lines, processing facilities, storage tanks and transmission and distribution pipeline emit over 15 million metric tons of methane each year -- the equivalent of 64 million cars -- making it the single largest source of man-made methane emissions in the country. Schneiderman points out that regulators have failed to require that the oil and natural gas industries use existing measures to control methane emissions. Currently, almost 95 percent of methane emissions from oil and natural gas operations, including hydrofracking, is left uncontrolled. 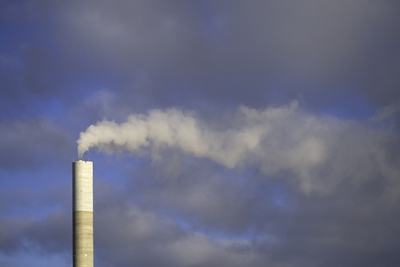 The Clean Air Act requires the EPA set emission standards for industries that significantly contribute to air pollution. The coalition, which includes Connecticut, Delaware, Maryland, Massachusetts, Rhode Island, and Vermont, warned that it will file suit in federal court unless the EPA makes timely decisions to curb methane emission. “Today, our coalition is putting EPA on notice that we are prepared to sue to force action on curbing climate change pollution from the oil and gas industry,” Schneiderman said. Subject: LongIsland.com - Your Name sent you Article details of "Seven States Plan to Sue EPA for Violating Clean Air Act"